If you feel like you are about to take your home off the market because your home is not selling, even though there has been many viewing your property, no one has brought an offer to the table… you are not alone. Properties sitting on the market for too long are a common story in today’s very competitive real estate marketplace. We have heard countless of stories like those firsthand, and sometimes much worse. These are just a sample of the questions that we often get asked. And we couldn’t blame them knowing that the longer a home stays on the market, the higher the chance its value depreciates. No one wants that. Before we pitch our service to customers, we listen to them carefully and over the years we have summed up the 3 most probable causes why your home is not selling. Some of the reasons may seem obvious, yet some people ignore them and that’s what we want to stress in today’s post. Price is the number one culprit. Having said that we may have just broken your heart and crushed your dreams, but if prospects realized that your offer is unreasonable (even just a tad bit), your property risks being staying on the market for a considerably longer period of time. Don’t let greed get in the way. We all want the best value out of our hard-earned bucks, right? 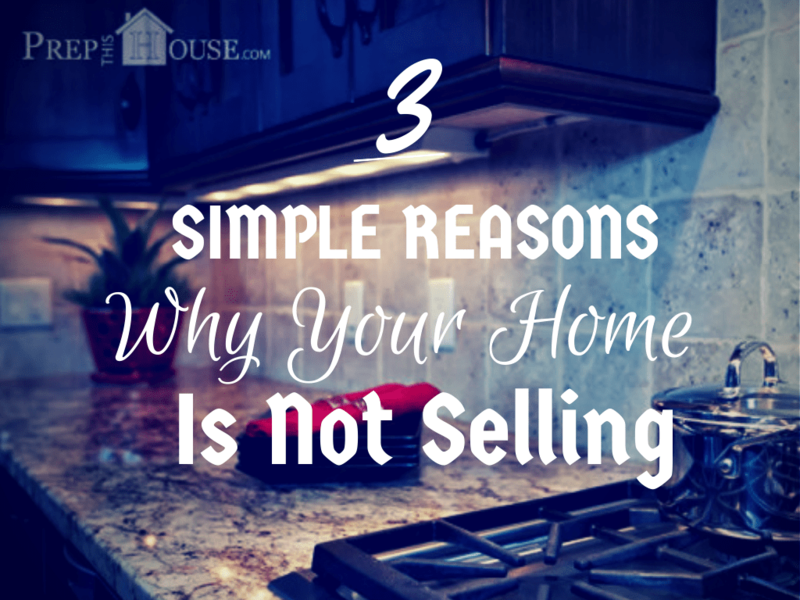 Try to put yourself in your buyers’ shoes. Would you buy a house that is the price of a grand villa but is actually a run-down, two bedroom apartment? That example might be a little exaggerated, but the answer is obvious, isn’t? Always remember that a lone marketing tactic won’t get you a sale. You have to have a combination of marketing strategies to reach a wider audience and let the world know what you have to offer. Hire a professional home stager to give your home a face lift. Most, if not all, stagers have in house photographers, but in case you choose to hire a separate person, make sure the guy is experienced in shooting homes. Ask your stager if they can feature your house on their social media profiles, blog, newsletters, or email campaigns for added exposure. They’ll be happy to do that for you. Look for a good and trusted listing agent. Hold Open Houses on weekends. This is optional, but if you want to take your advertising a step further, hire a virtual tour company to shoot and upload videos. But if virtual tour is out of the budget, YouTube is a “free” tool to get your prospects inside your house virtually. Highlight the best features of your home and tell them what you like about living there. If anything in this list strikes you as outrageous, if your home is so much about you or if you have refused every suggestion your listing agent advised you, then the problem might be YOU. Ask yourself this, “are you truly ready to let go and move on”? It’s not wrong to feel attached to a place where you spent your childhood, lived with your parents and siblings, and made precious memories. It’s not wrong at all! But…if this is the thing that keeps you from selling, then consider if you are emotionally prepared to sell. If you think you are not ready for this, then by all means remove your listing and put away that sign post! But if you are, maybe it is time to change your mindset and go put on your businessman’s hat and think like a salesman.